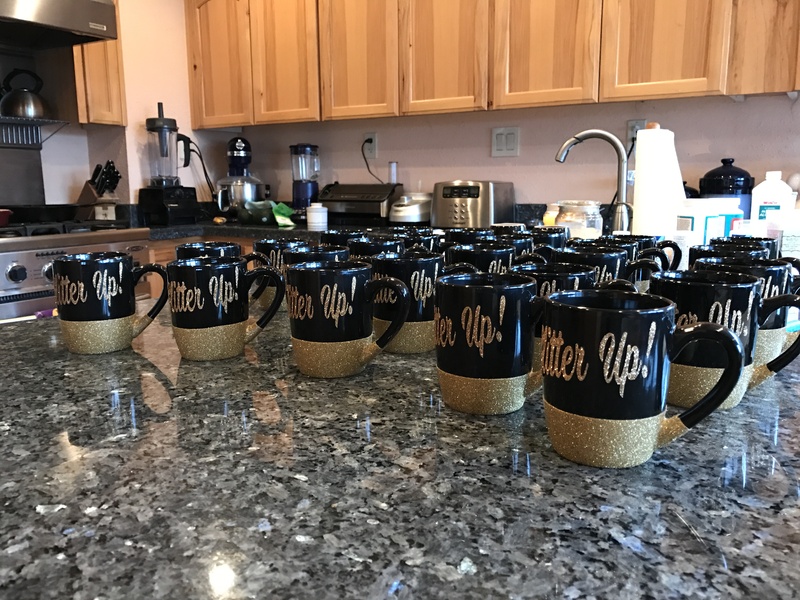 Good Luck Gifts for the Gymhawks! My daughter, Misty-Jade, is a member of the University of Iowa gymnastics team. Every year parents volunteer to support the team by sending Hawkeye Honey gifts to the girls at each meet during the season. The first year I sent a bag of goodies with things from or made in Oregon. Last year Misty-Jade and I decided on cups with the team’s theme for the season. This year she wanted me to machine embroider socks for each of the girls. There was no way that was happening! So, in the end she decided I should sew drawstring backpacks for everyone. A couple weeks before she needed these, she found a pattern that worked perfectly for this project. The directions can be found at Pockets full of Wonder. We chose four different beautiful cotton fabrics made by Moda and Quilting Treasures. My original thought was to machine embroider the logo and 2018 team theme, but decided vinyl would be a better option. I used Siser easy weed heat transfer vinyl and am very pleased with the results. The last step was putting the cord through the top and loops at the bottom. Misty-Jade filled the bags with St. Patricks items for good luck. Finished Hawkeye Bags Ready to Mail. Last weekend the Gymhawks were at Rutgers for the Big 5 meet where they placed second and earned a spot in the evening session at the Big 10 meet. 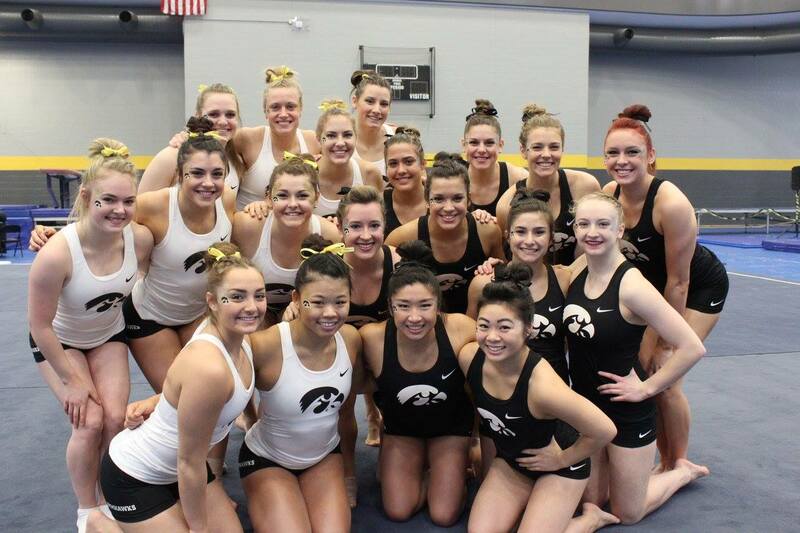 They left for Illinois today and will compete Saturday at the Big 10 Championship! © 2016 – 2018 Pauline Carlson – All Rights Reserved. Photos and other content may not be reproduced in any manner.